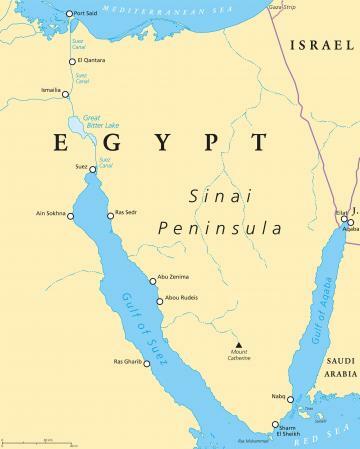 An attack Saturday on an Egyptian army checkpoint in the restive Sinai Peninsula left 15 soldiers dead or wounded and seven of the suspected jihadist assailants killed, the military said. Daesh, the so-called Islamic State group, in a statement on its propaganda arm Amaq, claimed responsibility for the attack and said it targeted a military post near the airport in El-Arish, northern Sinai. Security forces responded to the attack with an "exchange of fire", killing seven militants, army spokesman Tamer el-Refai said. "An officer and 14 non-commissioned soldiers were killed or wounded," he said in a statement, without giving a breakdown of the casualties. Medical sources in North Sinai told AFP that 11 soldiers were killed. Egypt often announces that jihadists have been killed in military operations, but statements that security forces have suffered significant losses are rare. Since the army's overthrow of elected Islamist president Mohamed Morsi in 2013, hundreds of soldiers and police have been killed in attacks by extremist groups. Civilians have also been targeted in jihadist attacks, particularly members of Egypt's minority Coptic Christian community. Egypt's army launched a major operation against the jihadists a year ago dubbed "Sinai 2018", after an attack in North Sinai killed more than 300 people at a mosque. The army says more than 550 suspected jihadists have been killed in the offensive -- which has also targeted militants elsewhere in Egypt -- costing the lives of more than 30 soldiers. But no independent statistics are available and North Sinai is largely cut off to media and foreigners.